Guts Casino is a very special online casino that offers players an extensive selection of casino games, including Blackjack. 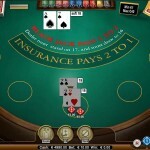 This selection of Blackjack games is not powered by a single gaming developer like most casinos, but they are provided to players by more than one developer. Guts Casino has carefully chosen only the pioneers in the business to provide it with casino games. The casino built a reputation for being a trustworthy casino that has the ability to satisfy the different needs of different gamblers in general and blackjack players in particular through the variety of casino games that it offers. 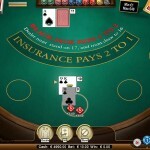 It succeeded in positioning itself in the online gambling market in such short time since its foundation in 2008. Guts Casino is licensed by the licensing authorities that licenses and regulates some of the biggest names in the online casino industry, the Maltese Lotteries and Gaming Authority, and it is regularly audited by Fast CPU. The casino is also RNG certified which guarantees players that all of the results of the games are random and that they are not biased to the casino or players. The casino is only available in 4 languages but with the way things are going, it is expected that the casino will expand its operations to reach other countries. The current supported languages besides English are Finnish, Norwegian and Swedish. 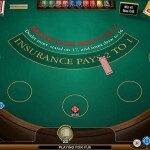 As for currencies, the casino accepts the three main currencies which are US Dollars, Euros and British Pounds. As mentioned before, the casino is powered with games by plenty of software developers. The list of developers includes the well-accredited Microgaming, Betsoft Gaming Software, Net Entertainment, OMI Gaming and IGT (International Game Technology). 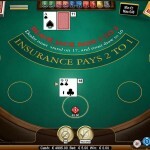 These software developers provide the casino with a great set of Blackjack games. These blackjack gaming titles include Pirate 21 Blackjack, Blackjack Pro 3 Hands, Uper 7 Blackjack, Single Deck Blackjack, Win Win Blackjack, Classic Blackjack and Double Exposure Blackjack. There is no shortage at Guts Casino when it comes to bonuses and promotions. For example, Blackjack players will be welcomed to the casino with a lucrative welcome package. This package is a 100 percent match bonus that can amount up to a total of $100 and it is applicable on the first 3 deposits. This means that players who make a deposit of $100 will get an extra $100 in bonus credit for every deposit that they can utilize in order to enjoy the various Blackjack gaming titles offered at the casino.